Do you crave a healthier, more soul-satisfying lifestyle? If so, you’ve come to the right place. We bring you the best-of-the-best, time-tested ideas in 5 minutes or less, complete with great resources and a few embarrassing bloopers. 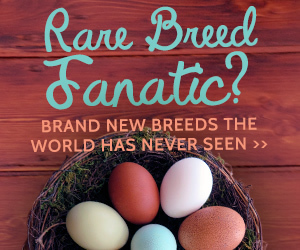 Home » Pets » Backyard Chickens Episode 2: A Dozen Questions, Answered! 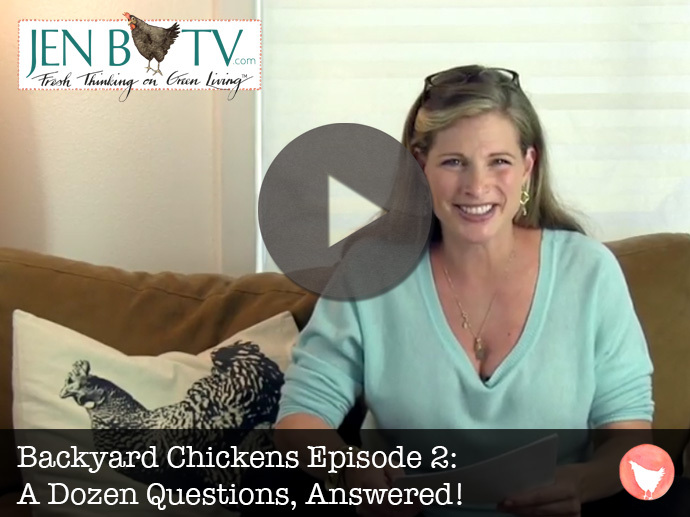 Backyard Chickens Episode 2: A Dozen Questions, Answered! What questions would you ask a seasoned backyard-chicken-raising pro? Whether you’re on the fence or on the backyard-chicken raising wagon, chances are you’ve got questions that are probably covered in this Q&A episode. Avoid salmonella and other gross bugs that have been linked to store-bought eggs. Take support away from factory farms that have polluted about 35,000 miles of river water in the US. Get a source of nutritious protein in your own backyard! I started my first flock in Bozeman, MT over seven years ago. Back then it made me part of the underground chicken-keepers club, but recently they changed the city ordinance to make keeping chicks perfectly legal. Be sure to watch the episode to get the answers to a dozen chicken-raising queries. Get started here to check out your local laws about chicken-keeping. Check out Mad City Chickens , a documentary where you’ll get to see backyard chicken keeping in action. Get this iChicken app $1.99 in the iTunes store for lots of information on chicken health, illustrated guides to chicken breeds, lots of fun-facts and updates from the latest Poultry Publications. Chickens can distinguish between more than 100 faces of their own species. My bird is completely off all food, I recently found a source of grubs and after her first feeding she stopped eating. Her craw is empty and has has been completely replaced with bones. She was re recently wormed but I still see no solid stool what I’m seeing is a thin liquid wast. Please any help would be great fully excepted this is not a chicken but my friend since I lost the use of my legs I have no one else. Bird, bird is 4 years old. Teach Your Dog the Best Trick: To live longer!